A third-generation educator, Gabriella Rowe vowed she'd never go into the family business, but, she says, never say never. She instead went into oil and gas and banking before working at a startup that sold after only 10 months. She then worked as a consultant — both for a company and then for herself — assisting high-growth, high-impact industrial companies. "I realized for the first time that no matter what your size or how long you've been around, you were vulnerable to innovation and change," says Rowe, who is now the CEO of Station Houston, a Houston-based acceleration hub. "Many of the companies we worked with ended up shuttering their operations, which didn't just shut down a company; in most instances, whole towns were destroyed." While on the road 300 days of the year, enjoying every minute of her job, she fell in love with a client, her now husband, and they decided to settle down to start a family in New York right as her grandfather was taking ill. She stepped in to help run his school. At that time, New Yorkers were doing outrageous things to get their children into top-tier preschools, one of which happened to be The Mandell School, Rowe's family school. "So, the first thing I did in my newfound motherhood was to hire a nanny, and then focused on how we could be opportunistic on this market shift in education in New York, so there was born my third startup." She turned the school around and grew it to two schools in Asia, three preschools in New York, as well as a Kindergarten through eighth grade school — a total of over 700 children across the schools. She sold it in 2013, which led her to Houston to take a position as head of school at The Village School. She grew that school 20 percent in the first year before selling it to private equity. "I fell in love with Houston and became involved in the tech ecosystem," Rowe says. "I had been involved in New York's tech ecosystem, and I wondered why we didn't have that tech ecosystem in Houston." Now, Houston's exploding with startups, technology, and entrepreneurs, and Rowe, who took her CEO position at Station Houston in August, is among the leaders bringing Houston to the country's forefront for innovation. InnovationMap: Coming in as CEO, what were the first things you wanted to do at Station? Gabriella Rowe: Station is a startup like any other startup. It's thinking: what are we good at that we want to do more of, and what are we doing that someone else does better. And then building out the framework and infrastructure necessary to do what you do well at scale. Having the right people in the right job with the right tools and at the right time is what allows scale to happen. That's what we've been working on for the past three months. We're going to be doing a huge launch of Station 3.0 in January. It will really allow us to tell the world not just what we're going to be for the next three months, but what we're going to be over the next three years. IM: What's Station Houston doing differently from other coworking spaces? GR: Well, we're not a coworking space; we are an acceleration hub for startups. First and foremost, we don't have the space to be a coworking space. We may have functioned like a coworking space in the beginning. We're here to accelerate startups in their growth, and we do that in a variety of ways. We connect them with curated connections to corporations that can help them pilot their ideas. We connect them with capital they need to grow fast. And we connect them with subject matter experts that help them understand how to grow their company. In some instances how to fail fast or pivot in a way that's going to make them the most successful. Our focus is accelerating the startups. It's one of the reasons we take no equity investments, because we don't want to be judging the success of a startup based on whether or not they meet our investment criteria. We want to do what's right for the startup, no matter the type of startup. I don't believe we can do that with a straight face and in good conscience if on the side we are doing investments. That really does differentiate us. IM: So, how is Station Houston different from an accelerator program? GR: The real answer is that these things are becoming more closely put together. We are more similar to an accelerator than anything else, but we are not time limited, and we are not hyper selective in a cohort way. A typical accelerator has a theme and cohorts with companies to that theme. We do not yet have a cohort-based accelerator with that specific timing. We apply many of the exact same methodology that they'd get in that time frame, but we carry it over the course of the year. We shift the companies to different buckets of focus. It's really the timing that's different. It might take a company longer to get to specific benchmarks, but we're still working to accelerate them. We're the only one doing this in Houston. IM: Would you switch to a cohort-based accelerator? GR: We won't be changing what we do, but we might be adding a specific themed-based cohort for companies at a specific stage of acceleration — an energy-focused cohort, for example, which would be really low-hanging fruit. We are in talks with Rice University to do something like this. My guess is we will launch this type of acceleration as a sub-product of what we do sometime in the first or second quarter of next year. IM: What's on the horizon for Station, especially regarding Station 3.0? GR: It all relates, in some way, to our move to the innovation district in 2020. That's what we are focused on. We worked really closely with Rice University on this. We believe that this building needs to open fully functioning and full, at capacity or as close as we can get from day one. The only way for us to do that is to be building that density at our current location here, and just shifting our operations there when the time comes. IM: What keeps you up at night, as it pertains to your business? GR: Oh, I've got a long list. The thing that keeps me up at night is 2020 is around the corner. We have a lot of work to do to be ready for this Innovation Hub. And it's not just what's going in the hub. There's going to be a big spotlight shown on us to the rest of the world. We have to know now how to handle that when it comes. It's a lot of collaboration. It's a lot of leaving our politics and our agenda at the door. All of us have to be doing this for Houston. If we do it well, if we do this for Houston, and leave the other stuff aside, then we're all going to benefit. That's the thing I worry about most, that if we have these successes and wins, that maybe some territorial stuff comes into it and that politics creep back into it, and we don't focus on the collaboration. The other thing that keeps me up at night, when I have the nightmares, is that we turn into a post-industrial ghost town because the energy capital of the world is somewhere else because we didn't innovate the way we were supposed to. That's a nightmare we can avoid by making sure we do what's needed — and a whole lot of that has to do with collaborating with each other. IM: How is Houston's innovation ecosystem doing? GR: I think we started to see something when the Crunchbase numbers that came out a couple weeks ago that showed Houston neck and neck with Austin from a VC investment standpoint, which is something we've never even come close to before and, all of the sudden, boom, we're right there. I think that's what we are going to continue to see in Houston. We're not going to see little wins now. We're going to start seeing big wins. The fact that I get a front row seat for that and get to invest my time and energy into something I care so much about makes me one of the luckiest people I know. IM: What does Houston need to accomplish in the innovation community? GR: Connective tissue — everyone knowing what's actually happening in Houston. Having resources, like InnovationMap, to tell us what's happening in Houston. I have been astonished for years now how much is happening here. Having resources like InnovationMap to tell us about what's happening here will make a huge difference. The other piece we need that's on the way is a real focus on talent. We're beginning to see a lot of investment, and we're only going to see more of it over the next 12 months. And that's not just going to affect the talent, but also the types of companies we're attracting to Houston. The quality of life in Houston is phenomenal. That's what a lot of tech companies are looking for. There hasn't been enough yet to bring them to Houston, because we haven't been able to demonstrate the growth of our ecosystem. We are going to have something big happening with either Google or Microsoft over the course of the next 12 months. That's only going to accelerate things for our startups. IM: You moved here almost five years ago. What attracts you to Houston? GR: First and foremost, the people. This is a city filled with some of the most amazing people I've worked with in my entire career anywhere in the world. We should not underestimate that as a city. The sense of humanity in Houston is like nothing I've ever experienced. It's not just what we saw in Hurricane Harvey, but it's exactly what happened in Hurricane Harvey, only it happens all the time in this city, it just isn't on the national news. In Houston, everyone talks to each other all the time so you make connections all the time; you learn things about the community. I can't tell you how many Uber drivers I've had that have talked to me about their startup and then have ended up coming into the Station — that's the kind of stuff they say only happens in San Francisco, but it happens here for a different reason; it's because they really care. I hope that as we grow our ecosystem that we never forget that. This week's innovators to know span across industries — from sports tech to education, but they are all fighting for something here in Houston. Here's what they are focused on bringing to the Houston innovation ecosystem. Mike T. Brown decided to move his Silicon Valley sports tech platform that gamifies charitable donations to his hometown of Houston. 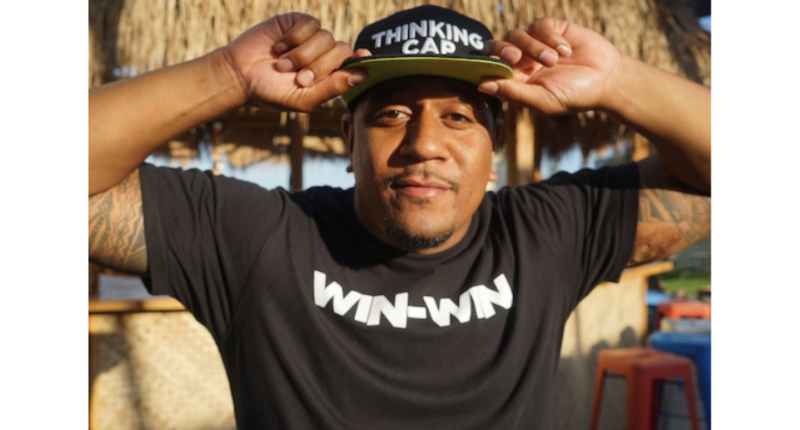 Win-Win, which launched in 2016 and since raised $1.2 million in funding, is ready to scale and launch full-scale during the 2019 NFL season. "I couldn't be more excited about returning to Houston to become a part of the city's tech revolution," says Brown in the release. "After visiting The Cannon, I immediately felt the energy and have witnessed their commitment to pushing Houston's tech startup movement. I can't wait to get fully plugged into the city's ecosystem, to start hiring local talent and raising money from local investors." Read more about Brown and Win-Win here. 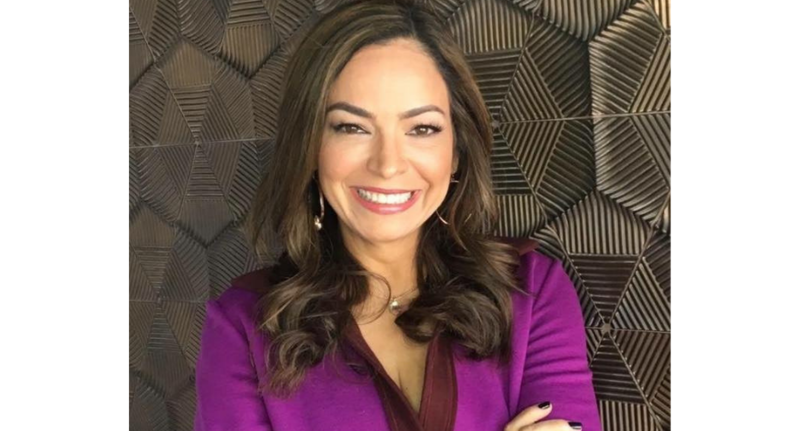 Yvette Casares Willis has been working to put Houston on the map for MassChallenge Texas, and her work is finally coming to fruition. The organization opened applications for its inaugural cohort last week. 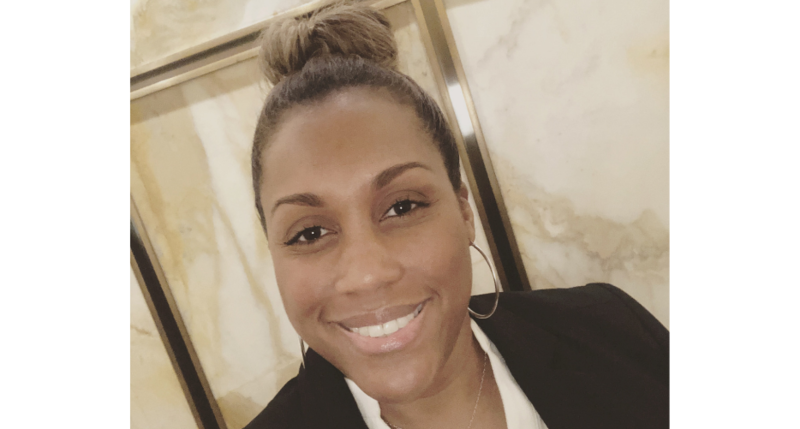 As excited as she is to work with the cohort, Willis is looking forward to what it means for the program to arrive in Houston and help to connect the dots across the city's innovation ecosystem. "I'm excited about what Houston has to offer," says Willis, who is the director of partnerships for the organization. "We have everything we could possibly provide in this ecosystem to be amazing, as long as we all work together. If we can all collaborate and if we all have the same mission, we can really make a difference in Houston." Read more about Willis and MassChallenge Texas here. Tekedra Pierre's job is to help students be aware of real-life needs in the workforce through internship programs. And what's extremely clear to Pierre is the need for more professionals in tech — specifically the cybersecurity space. She wrote a piece for InnovationMap on the subject. "Employers struggle to keep employees up to speed on the latest technologies and skill sets needed to succeed and thrive in the rapidly changing and evolving business landscape," she writes. "To remain competitive, Houston businesses must attract qualified workers to fill these positions that range from cybersecurity to industrial technology, engineering and medicine. And the earlier we can reach them, the better." Read Pierre's piece here.